New research by Plastic Mobile, in partnership with Luxury Institute, has shown that mobile apps can make consumers more loyal to a brand – specifically, 71% of people who have downloaded a sponsored app for their tablet or smartphone said that the app made them feel “better connected” to that app’s brand sponsor. In addition, the study also showed that 64% of the app-using population took a more favorable view of brands that have mobile apps, regardless of whether or not that brand sold its merchandise through e-commerce sites, mobile commerce sites, or exclusively offline, in brick-and-mortar stores. The majority of the app users indicated that their purpose for using the apps they downloaded was to find information – features and specifications, prices, and specials deals – on the products and services available for that specific brand. Nearly half of the users indicated that they expected their downloaded app to give product previews and present loyalty programs. Interestingly, the studies also found that the app users considered their apps to be more of an enhancement, not a replacement, for the live retail experience. In fact, 45% of the respondents said they liked having salespeople assist them with their purchase. In other words, the main purpose of these apps, apparently (as far as the buyers were concerned), was not to push or close online sales but to highlight the personal service that a brand is willing to provide to its customers, whether in an online boutique or a physical store. This display of commitment towards quality customer service naturally results in buyers more willing to stand by their chosen brand. When it comes to sheer social networking size, the three giant social platforms - Facebook, Twitter, and LinkedIn clearly dominate the social networking doman - they are the undisputed leaders when it comes to networking with friends, current or former colleagues and business associates. But do people really get truly engaged on these platforms? Does they participate in passionate discussions? (Well, do you?) Do these social networks make any positive impact on Joe’s adult life and to career? Or are they simply a means of passing time, a side entertainment? If the latter were true and remained true, it would be a shameful waste of a tool with great potential. Think about it: how many doctors, lawyers, and other professionals are already on LinkedIn? How many sports buffs, homeschoolers, alternative music enthusiasts, avant garde artists, and other niche markets are on Facebook? These people are in social networking sites for a reason: they want to network with people like themselves and potential clients and buyers. To cater to the specific needs of these groups, niche social networks keep cropping up. But the weakness of these small social networks is that they have trouble holding on to their members. Unsurprisingly, people who join social networks quite naturally drift to places where there are more people – that is, Facebook, Twitter, and LinkedIn. The irony of it all is that when people move into these three giants, they often end up getting less engagement and less significant contacts from the specific group they wished to connect with in the first place. There are just too many other distractions in horizontal sites such as the big three. There is a simple solution to this dilemma, the niche social networks now integrate with the giants - LinkedIN, Facebook and Twitter, whereby their connections/ or friends from the horizontal social networking platforms are imported and their posts on these niche networks are cross-posted (usually controlled by an easy to reset permission) to facebook, linkedin and/or twitter. This way, people can network within their niche and yet maintain access to the rest of the world who are on Facebook, Twitter, and LinkedIn. In other words, the horizontal social networks are slowly but surely going vertical. For instance, Ticlr.com uses your Facebook contacts to make it easy for you to send gifts to your friends and family. Gifts can range from personal services such as “Wash your car” to actual items such as flowers or sports equipment. And of course, there is the option to share your gift on Facebook and Twitter. Another example: Tradesparq.com uses a person’s Linked contacts to add credibility to a supplier or buyer by putting the two business parties in contact with mutual acquaintances. It is an excellent social commerce model, and a good example of how a small social network links with a big one. Through these collaborations and linkages, the lines between separate websites are slowly dimming. The Web is truly becoming interconnected. For social networks and social commerce, it seems that happier days are yet to come. Worldwide mobile payment transactions are projected to increase in value over the next three years at a rate of 97% a year and in a few years, should reach a value of nearly a trillion US dollars – $945 billion, to be exact. According to a KPMG report released early April this year, this growth is to be fuelled by sales in near-field technology devices, that is, smartphones and tablets that, upon close contact with a store’s scanners, can be used to make immediate electronic payments. Another factor will be the market’s growing attraction for the “always on, always fast, and always accessible” shopping experience of couch commerce. More and more, we are seeing mobile commerce’s growing acceptance as an alternative to cash or credit card transactions. Two reasons for these could be (1) the expansion of the smartphone market and (2) the retailers’ recognition of their need to adapt to changing times. In 2011, smartphone shipments accounted for nearly a third of all mobile phone sales. That’s a significant growth from the mere 15% that they accounted for in 2009. KPMG’s report also reveals that by now, 21% of retailers already recognize mobile payment capability as a “key enabler” in their business. Only 2% of the surveyed organizations believed that mobile commerce will have no effect on their organization. This infographic from IMRG and eDigital Research below contains some great stats on m-commerce growth from 2009 to 2012. Even though the details are specific to UK market, the trends can be extended to entire western hemisphere at the minimum. Advertisers, take heed: YouTube is now being visited by over 1 billion unique users every month. That’s ten times more viewers than a fully packed Super Bowl Game. It's nearly 50% of the total number of persons who go on the World Wide Web. In fact, if YouTube did not exist, Madonna and Psy would have to do their Madison Square Garden concert 200,000 times so that their entire (YouTube) audience could watch them. That’s a lot of viewers. Thanks to YouTube, we’ve seen concerts, discovered new talent, learned new skills, and built business, not just from our computers but even through our smartphones. We’ve uploaded videos, shared our favorites with our social networks, created channels, subscribed, and tuned in. In this day and age when networking and communication means so much, YouTube has been there to give us an efficient, enjoyable, and effective way to network and communicate. Through YouTube, we have been more able to reach out to the world, and the world has been more able to reach back to us. No wonder over a billion people are coming to YouTube per month these days – and I expect it will remain so in the days to come. June 12, 2017, Sunnyvale, CA. The 121,000+ member strong IIT Bay Area Alumni Association is hosting the 2nd IIT Bay Area Leadership Conference (IIT BALC) 2017, on June 17 at the Santa Clara Convention Center, CA, USA. The leadership conference is primarily designed for IITians and their family and guests. Besides over 40 plus illustrious IITians speaking at the conference, we are excited to have Deepak Chopra, an inspirational thought leader, Arjun Malhotra, Ca co-founder of HCL Group, and advisor to many startups, Rajat Gupta, former Managing Director of McKinsey, and pioneer of IIT Brand beyond India, and Ravi Mahatre, Founder, Managing Director, Lightspeed Venture Partners for keynotes. The sponsorship has more than doubled over the last edition of the IIT Bay Area Conference. Rubrik leads as the Platinum Sponsor, joined by Gold Sponsors Light Speed Venture Partners and Google, and Silver Sponsors VMWare, Cohesity, Nvidia and Upaya. Topics for the Leadership Conference 2017 include Autonomous Vehicles, Clean Energy, FinTech, and Off Beaten Track, and Founder’s Journey. About 20 startups will also be pitching their value propositions. To learn more about speakers at the 2nd IIT Bay Area Leadership Conference 2017, please http://iit-bayarea.org/. About IIT Bay Area Alumni Association – IIT Alumni of Bay Area is a 501(c)(7) non-profit organization of alumni from the Indian Institute of Technology in the San Francisco Bay Area. We have more than 120,000 alumni members in the San Francisco Bay Area. Contact: For media inquiries, Praveen Gupta, Ttel: (408)-429, 9782, and all others Bimal Sangari. Amazon Launches Amazon Coins for In-App Commerce – Will This and Other Virtual Currencies Be Regulated by the Government? Late last week, Amazon launched its virtual cash, dubbed Amazon Coins, by posting an open "Dear Customer" letter on its website to inform US Kindle Fire owners that they have received a gift of 500 Amazon Coins in their accounts. 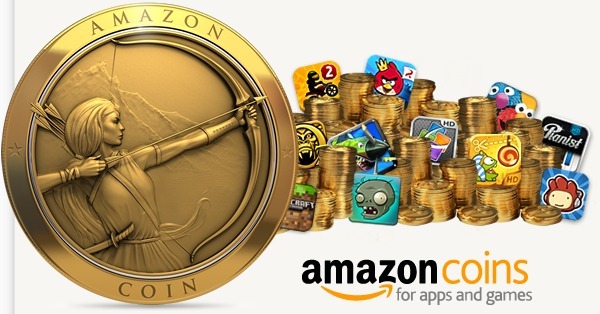 Amazon Coins are a form of virtual currency that recipients can use to buy Amazon apps, games, and in-app items such as game upgrades or avatar personalization features. For instance, if you want to unlock a level in your game but you are unable to overcome the previous level, then you may be able to buy your way into the game level instead, using Amazon Coins. Or maybe you want to dress up your avatar with a special star-spangled cape or an Iron Man suit. You will probably need to purchase those with virtual coins. Each Amazon Coin is worth 1 US cent, so Amazon’s gift of 500 Amazon Coins is worth 5 real-world US dollars. But why is Amazon giving money away, even if it is just virtual money? Like all other free trials, Amazon is trying to orient and entice users into using its virtual currency, hoping some of them will pick up the habit and buy more. In turn, this purchase and trade of Amazon Coins should invigorate the apps sales and "social commerce" within the apps. (We view this as "Social Commerce" because after all, buying stuff from other people or gifting cash - real or virtual - is a "social" activity). But will it end with just buying games, apps, and in-app features within Kindle Fire? If you think about it, it doesn't have to, right? After all, since virtual money is bought with real money, why should Amazon Coins not be granted to Amazon customers as rewards, and be usable like frequent flier miles and other loyalty points, to buy real-life goods such as clothing, toys, and appliances? Amazon itself recently started allowing people to use their credit card reward points to buy products at Amazon, and we believe Amazon Coins may one day "grow up" to be equivalent to these schemes. It’s not hard to envision virtual currencies being used as real-life funds. We are moving from Facebook Credits to local currency pricing, and plan to migrate all game developers on Facebook.com in the third quarter this year. We want to provide ample time for you to review the new documentations. After launch, developers will have a minimum of 90 days to implement the updated payments infrastructure to continue accepting payments. For now, we continue to support Facebook Credits. In the coming weeks, we will provide further updates on when developers can begin integration. Learn more in our local currency FAQs and overview. So that's a setback to people looking for these platforms to create a world without borders. After all, monetary exchange is a big part of social networking. Was Facebook's move related to the March 2013 announcement by the Financial Crimes Enforcement Network (FinCEN) of new guidance relating to the regulation of virtual currencies? These regulations were widely seen as a first step by a government body towards regulating virtual currency, as opposed to electronic money representing government-issued fiat money. Are we going to see demands from national taxation authorities such as the IRS, requiring residents to report holdings of such currencies on their tax returns, in the same way that they now require reporting foreign currency holdings? Only time will tell. Unlike Facebook, Amazon is boldly charging forward with its virtual currency, Amazon Coins, without being deterred by such potential regulations. Amazon is already involved in handling tons of payments and regulations ranging from sales tax, VAT, and import duties, so they probably already have a massive regulatory compliance department. Certainly, Amazon Coins can take social commerce to a whole new level – but how high a level can social commerce really go with virtual currency? For now, at least, it’s anybody’s guess. In Science Fiction, the world is frequently portrayed as having been taken over by computers. Interestingly, the computers that take over the world in movies or fiction appear either in humanoid form, either as physical humanoids such as in "The Terminator" or "I, Robot", or as human-like illusions such as "Agent Smith" in the Matrix trilogy. As announced last year, the Apple Watch is really three different family of watches addressing three different markets - Apple Watch Sport, The Apple Watch, and Apple Watch Edition. 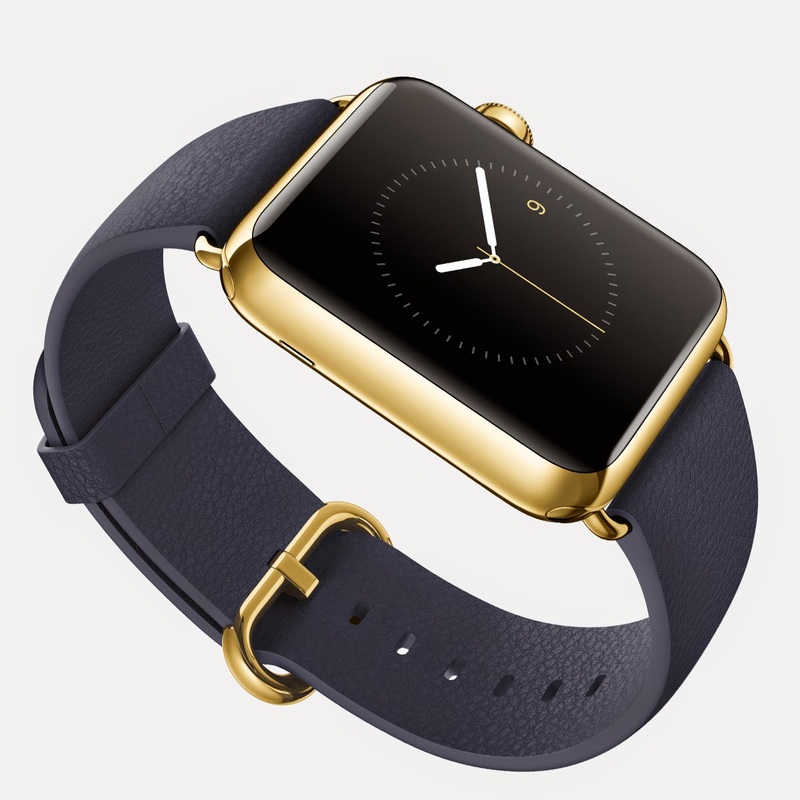 Apple Watch Sport is the least expensive among the three with prices ranging from $349 to $399 based on the size 38 mm and 42 mm.This version is encased in anodized aluminum. The second family of watches - The Apple Watch - is stainless steel, with prices starting at $549 for the 38mm, $599 for the 42mm, but going as high as $1,099 depending on the band chosen. Finally, the Apple Watch Edition, the 18-karat gold version, starts at a whopping $10,000 and can go as high as $17,000, targeting the luxury market. Apple has successfully blended technology with fashion and design elegance over past few decades. I believe that the Apple Watch Sport and Apple Watch will be very successful, especially among those of us who are used to the touch screens on our smartphones. All three versions of the Apple Watch come with a lot of Apps. The WatchKit tool kit/ APIs were released to developers last November, and Apple demonstrated that will make things we do on our smartphone today even easier. Instead of having to dig your phone out of a phone or purse, , just twist the wrist.— The apps that were demonstrated include Uber for summoning a car, using Passbook to check- in for a flight, opening garage doors, health and fitness apps, social networking apps, calendar and email alerts. In fact, Apple Watch would result in a comeback of the watch for many of us. Like many people, I had given up on wearing a watch because I didn't need it - I could just look at the time on my smartphone so no need to carry around a device just for that. But now that the watch can do lot more, and has the similar touch screen-like user interface, I am already considering buying one. While Apple is a reputed brand, I am not sure it will able to leap into the luxury brand club and be considered at par with an Omega, a Rolls Royce or a Louis Vuitton anytime soon. Apple's massive success makes that difficult since luxury is usually associated with scarcity, and with hundreds of millions of people carrying an iPhone or an iPod around the globe, Apple is not a scarce brand.That said, I am sure there are enough affluent people who love Apple's products that some of them will fork out $17,000 for an Apple Watch Edition just because it costs $17,000. But independent of how many people buy the high end Apple Watch edition, after seeing what it can do, I believe that the company will be able to hit the Analysts estimates of 20 to 40 million Apple watches sold in first 12 months after launch. However, this should not be construed as advice to buy or sell company's stock - please consult your investment adviser.